Today is the cover reveal for She Laughs in Pink by Jessica Calla! Four years after her twin is murdered, Juliet Anderson still struggles with guilt, her parents, and her relationships. Two things keep her from falling into a deep, dark place—dancing and her best friend, Ben. So when Ben decides to play football for New Jersey University, Juliet doesn’t hesitate. She follows. Finally away from her past, there is nothing to stand in the way. Juliet will win Ben's heart. Then she meets Ben's roommate, Chase. On probation and hell-bent on adhering to a “new life plan,” aspiring artist Chase leaves his New York City home for New Jersey University and meets Juliet before even stepping foot on campus. For him, their connection is instant. She’s the most vibrant girl he's ever seen. Her colors explode on his canvas, and he's never been more inspired in his life. Too bad she’s madly in love with his seemingly perfect, good guy roommate. I nibble his jawline down to his neck as the train pulls away, leaving us in the empty station. Already a new crowd is forming for the next train. “I needed to kiss you. Thought this would be a good place,” I mumble as I work my way down his neck. He turns me around. My back hits the cold wall and I shiver. He holds my face as he studies me, his gaze falling on my lips as I catch my breath. “Should we be together, gorgeous?” he asks. “Could it be that simple?" Jessica Calla is a lawyer by day, romance writer by night. Her favorite time is "bedtime," when she's free to open the laptop, battle with the blinking cursor, and pour out the contents of her heart. Jessica is a member of Romance Writers of America, involved in the Contemporary, Young Adult, and New Jersey Chapters, and is a member of the Women’s Fiction Writers Association. She lives in central New Jersey with her husband, two sons, and her dog. Besides reading and writing, she enjoys movies, coffee, and chocolate and considers herself addicted to Diet Coke and Netflix (in a good way). 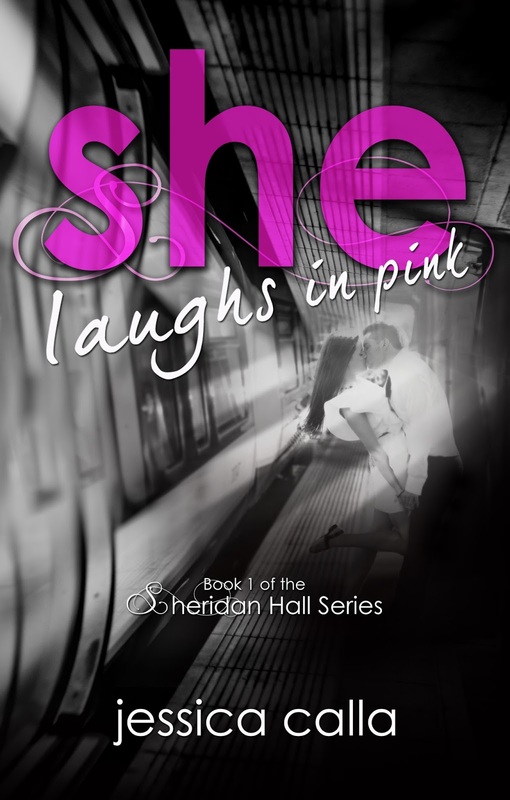 There is a cover reveal wide giveaway for the cover reveal of She Laughs in Pink. One person will win a $25 Amazon gift card! Now that we've shared this awesome cover, we can't wait to share the book! See you in May!